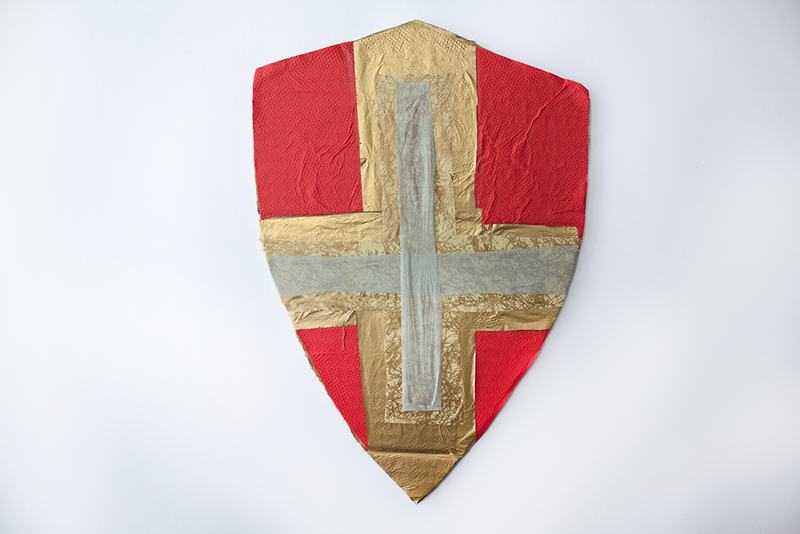 Glue the cupcake foil on the middle of the cross and draw your own symbol on it. 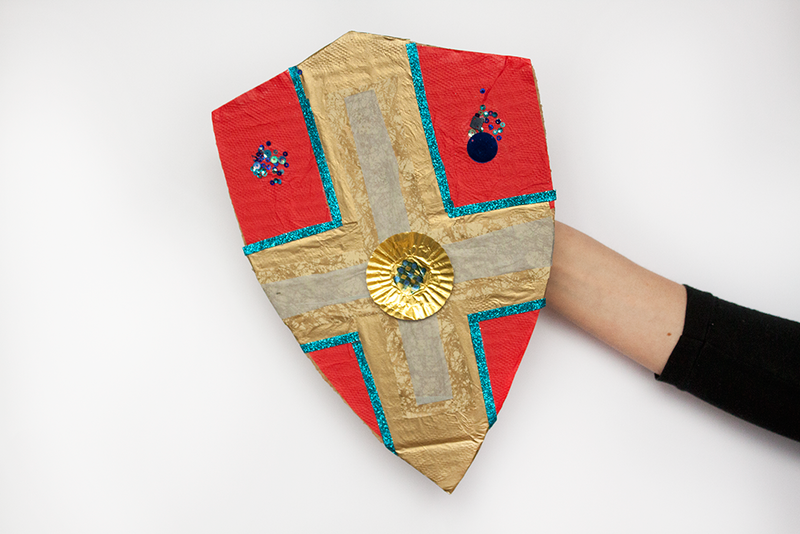 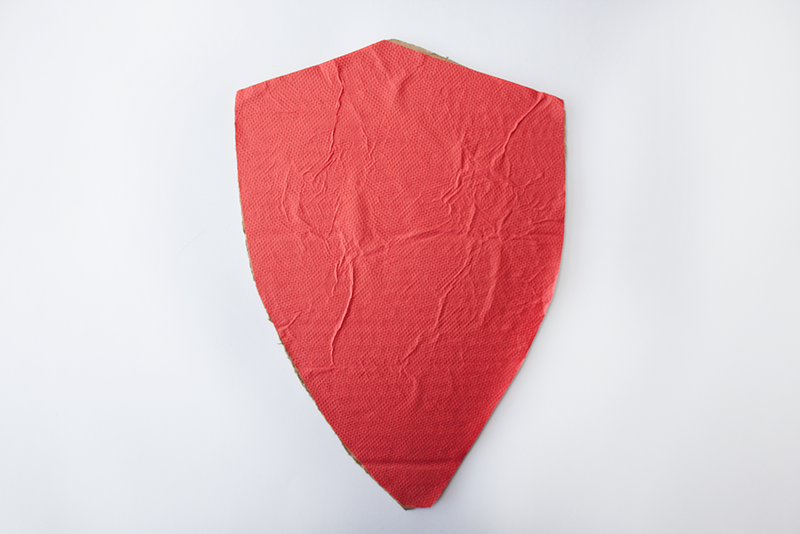 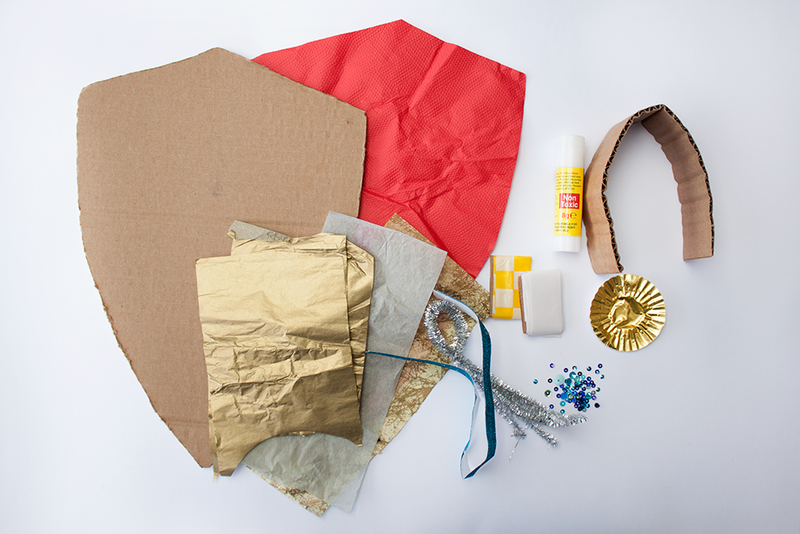 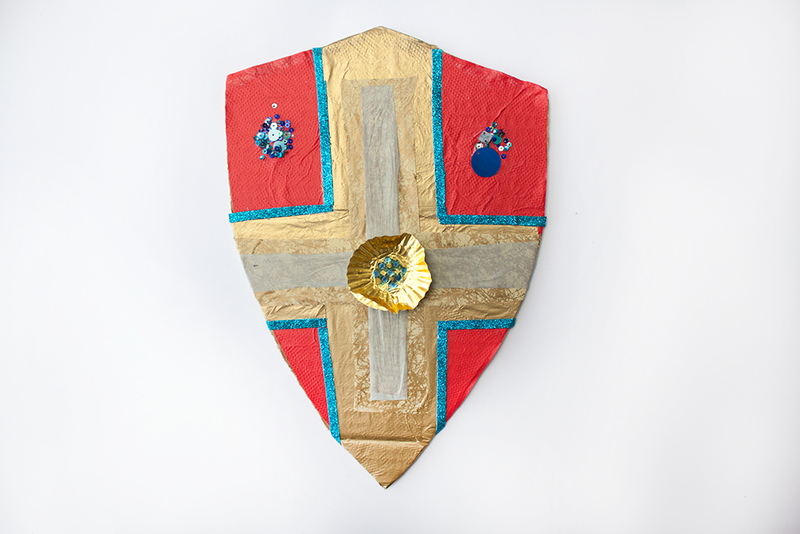 Decorate your shield with sequens and glitter-tape. 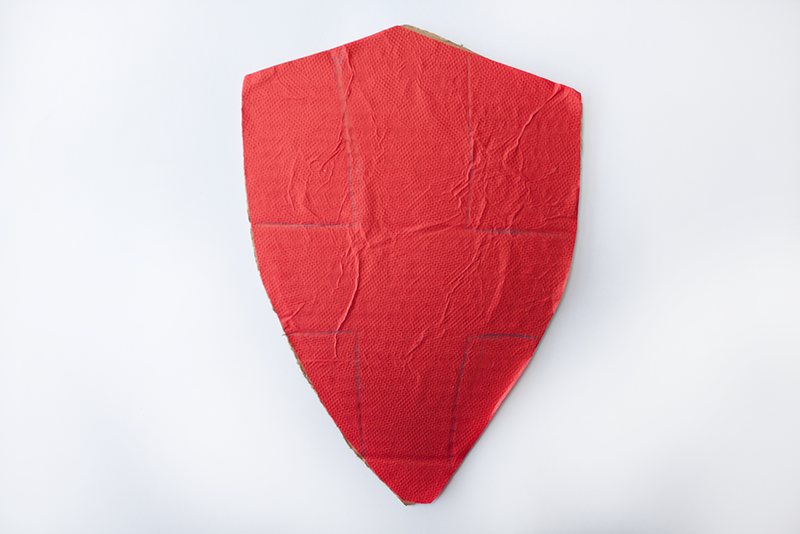 Your shield is ready for your next adventure!